This page will explain how to optimize your screen resolution and display settings to work with TRAKnet. 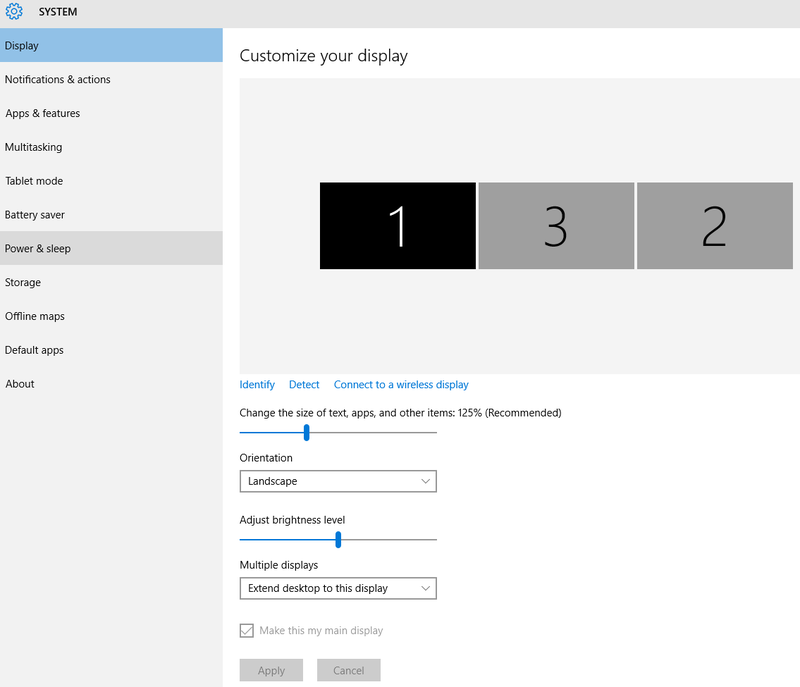 The Item Size in Windows can be changed to make text and icons larger or smaller based on user preference. However, TRAKnet is optimized to work with item sizes at their default 100% size. Any size larger than this can cause issues within the program, such as text running out of buttons or on rare occasions, entire screens not working as intended. For instructions on how to change your item size to 100%, see below. 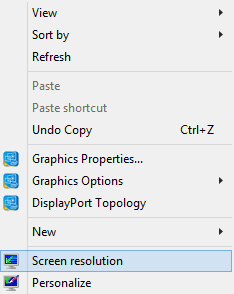 Right click on the desktop and select 'Screen resolution' from the dropdown menu. 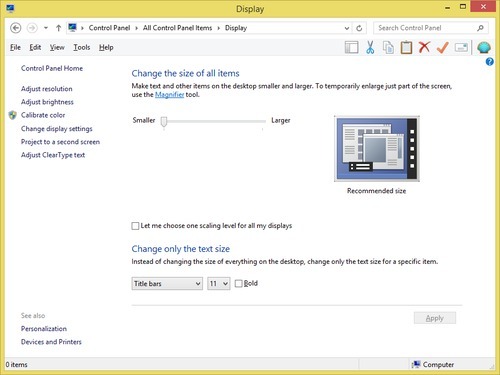 On the Screen Resolution window, click the hyperlink that says 'Make text and other items larger or smaller'. On the Display window, there will either be a slider or radio buttons that will allow you to change your item size. Set it to the smallest setting and click Apply. Log out of Windows, and then log back in. 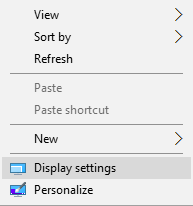 Right click on the desktop and select 'Display settings' from the dropdown menu. On the Display window, there is a slider that will allow you to change your item size. Set it to the smallest setting and click Apply.